Dee Flouton enjoys working with designs and photographs. Two of her specialties are working in Modern Abstract and Oriental style designs. Patterns are somethings Dee enjoys creating! Dee has her shops separated by type of product. 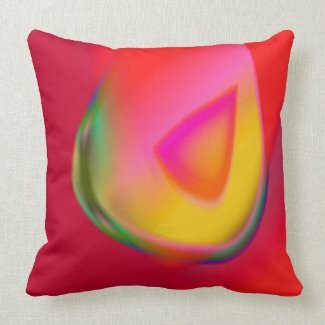 Dee creates wonderful shape and colors. Some of her patterns are created using real life objects such as flowers and jelly beans. I love the way pink and rose interplay with the amber. The touches of green and blue create depth against a crimson background. 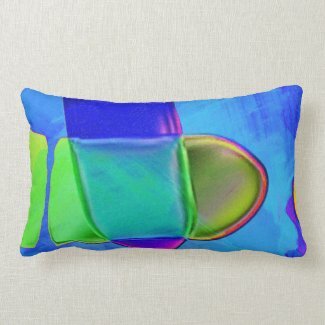 This pillow colorwise is the exact opposite of the pillow above! The stunning blue background with aqua and royal blue highlights is amazing! The shading in the purple and teal is very lovely. The lime green sparks up everything. 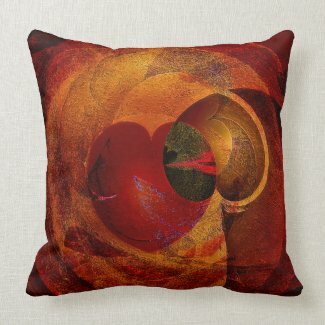 There is incredible depth and sense of layers and inner and outer with this pillow. The hearts are fun. My eye is drawn to all the nets and layers that go round and round. Dee has a way with color!